Being fit and healthy is important for a long and happy life, but stressing out over all the things you could do to be in shape and following all the latest health and fitness trends can be counter productive. Simply put, all you really need to worry about is eating a balanced diet and getting regular exercise. Follow these five health and fitness tips to go about getting fit the right way. It is normal for women to be aware of their weight, however, a more important indicator of health is body fat percentage. 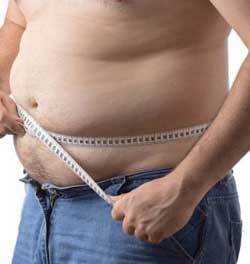 This is a measurement of your body’s fat content compared to everything else, such as muscle, bones and organs. The ideal body fat percentage for women is between 20 and 30 percent depending upon age, except for female athletes who can be as low as 14 percent. 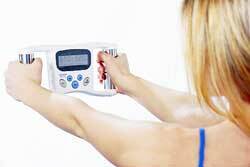 Instead of looking at your weight on a scale, get a scale that calculates body fat percentage or use a handheld device. 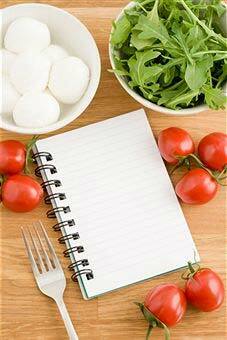 Keep track of your eating habits with a food diary. Many websites also provide this as a free service. Input what you ate each day and it calculates your calories as well as your percentage of protein, carbohydrates, and fat. Using a diary gives you the freedom to eat what you want, but also lets you know if you are eating too much or an unhealthy balance of protein, carbs, and fat. You can also keep a physical journal and add up your calories if you prefer a low tech solution. Alternatively, get an app for your smartphone to keep track of eating on the go. Women can gain motivation by working out with friends and thrive on the support of others when adopting a healthier lifestyle. Having a workout buddy or signing up for group exercise classes adds a fun social element that can increase your adherence to an exercise program. However, too much socializing can sabotage your progress. It is easy to get caught up gabbing at the gym or slow down to more easily communicate while exercising outdoors. Women-only gyms often have a major problem with women working their jaw muscles and tongues more than their muscles and cardiorespiratory systems. The trick is to find a balance. Use the thought of seeing your friends as motivation to get to the gym, but schedule social time for after workouts. Keep the talking to a minimum during exercise. You will get a better workout if you focus on what you are doing. Although many women shy away from strength training because they do not want to bulk up, strength training is important to prevent loss of bone density, not to mention there are a host of other benefits to adopting a regular strength training routine. Women simply do not have the hormonal advantages that men do to help maintain muscle mass. Women need to work out with weights a minimum of two days per week. Strength training also gives you a toned physique that you won’t get from cardio and makes daily tasks, such as carrying groceries or cleaning the house, easier. Wearing high heels throws your body out of alignment according to many studies, contributing to posture problems, muscle tension and sometimes headaches. High heels are bad for your joints too. Wearing them occasionally a special event is fine, but for daily wear opt for flats or kitten heels. These tips are basic guidelines to make staying healthy and fit as easy as possible. It is always best to reach out to a dietician, doctor, nutritionist, or personal trainer if you need additional help.